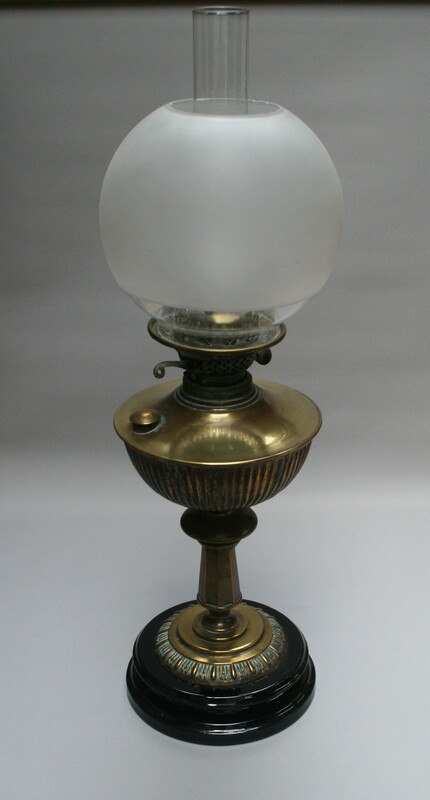 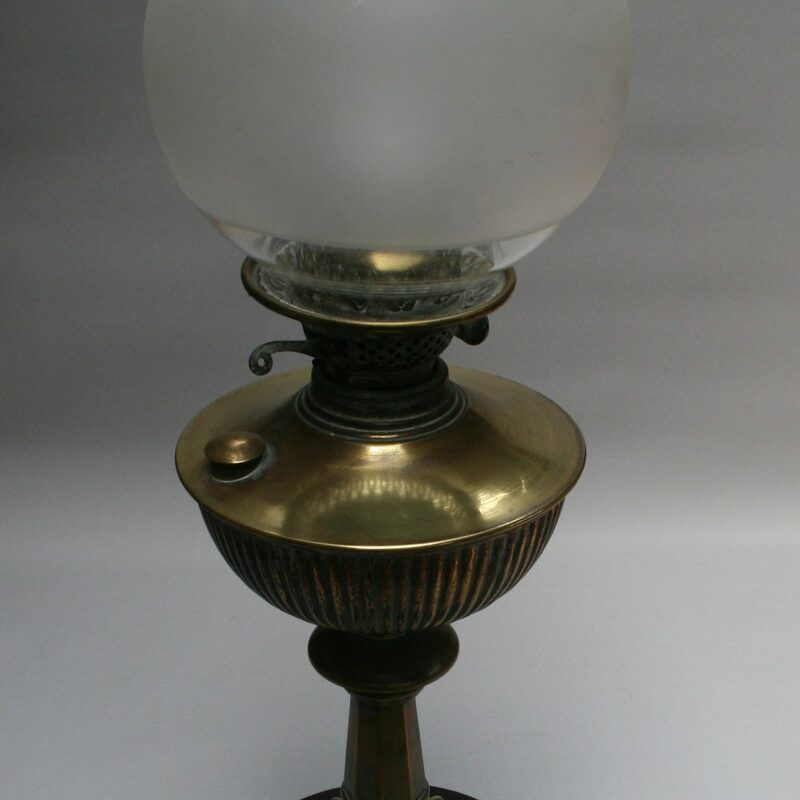 A large Victorian brass oil lamp with a faceted column terminating in a shaped circular brass base. 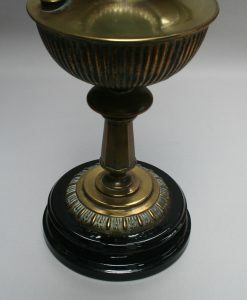 This then stands on a black porcelain mount. It has a brass fount and a double burner. 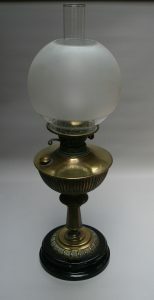 It is topped with a glass chimney and a round frosted glass shade.